Andrew Ganz November 29, 2018 Comment Now! 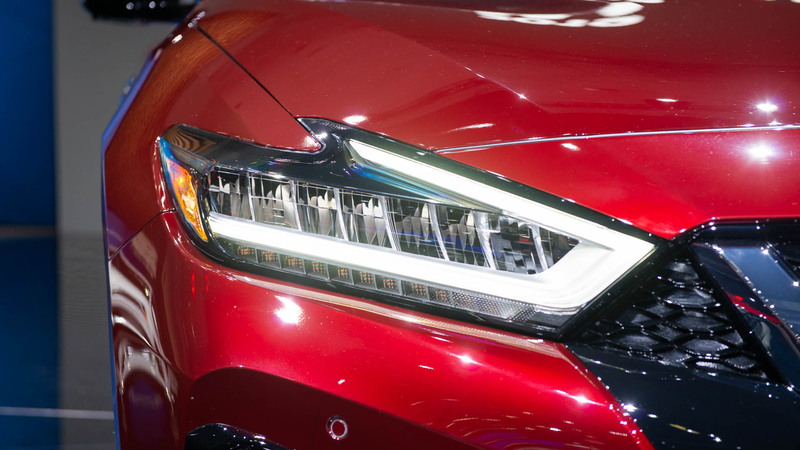 The 2019 Nissan Maxima that arrived Wednesday at the 2018 LA Auto Show has a subtly new look with standard LED headlights. A new range-topping Platinum Reserve option package dresses the automaker's full-size sedan up with pleated semi-aniline leather upholstery cribbed from the company's GT-R sports car. 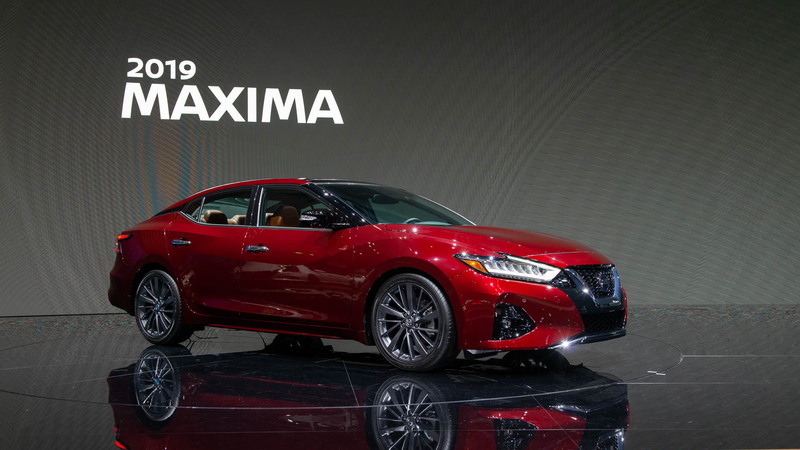 The 2019 Maxima will go on sale by the end of 2018 in S, SV, SL, SR, and Platinum trim levels. Newly standard features to go along with the mild facelift include a rear-door alert system to remind drivers that a child might be in the back seat, satellite radio with the ability to restart songs from the beginning, and an updated navigation system on SV and higher trim levels. Active safety tech such as adaptive cruise control and automatic high-beam headlights are now more widely available, Nissan said. 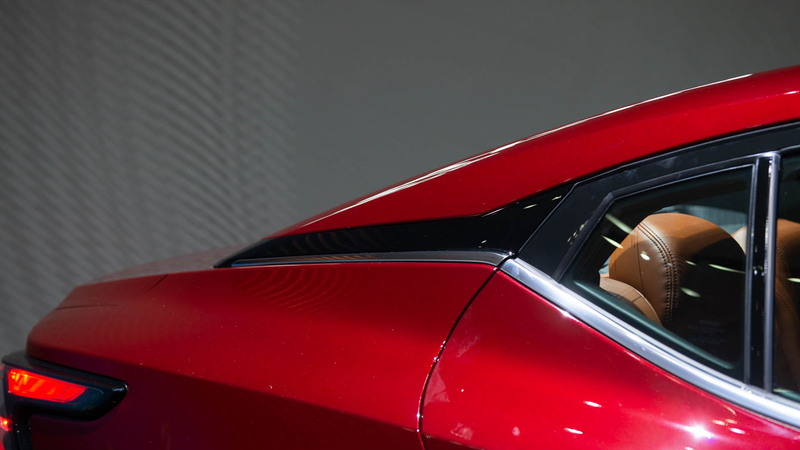 Automatic emergency braking remains standard fare on the 2019 Maxima. Nissan said that the Maxima's dashboard trim, instrument panel, headliner, and upholstery materials have been upgraded on most trim levels. 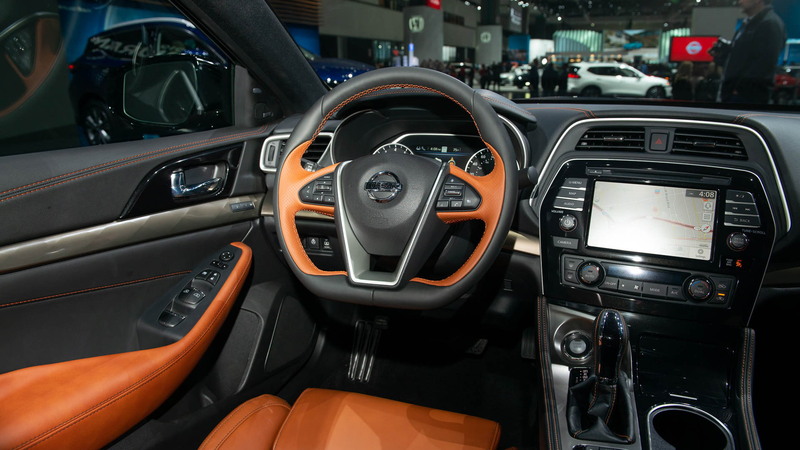 The sport-styled Maxima SR now has contrasting orange stitching on its seats and quilted synthetic suede upholstery. The Maxima retains its 300-horsepower 3.5-liter V-6 engine paired to a continuously variable transmission that sends power to the front wheels. Unlike the smaller Altima, the Maxima won't be offered with all-wheel drive or a turbo-4 engine. All Maximas retain Apple CarPlay and Android Auto compatibility. Nissan did not say how much the 2019 Maxima will cost when it goes on sale.